If you’re familiar with game jams, then you know what an all out marathon they can be. If you’re not, here’s the gist: you stay up for a whole weekend planning, programming, and coding a brand new game. Oh, and you try to find time to eat and sleep (a little). Basically, game jams are the intense way to generate new ideas for new content and new programs as fast as possible. So how does this connect to elearning? Well, they’re called training jams, and they’re game jams with an elearning twist. 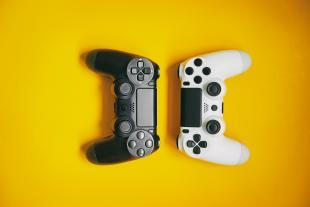 Training Jams keep the basic structure of game jams, but instead of creating a general game developers create a training course. The course, complete with learning objectives and other familiar elearning elements, covers a specific area of training such as fire safety, harassment, or workplace communication. In the world of content creation there is a need for continued innovation and development at a fast pace and high level. No longer are employers willing to pay for courses that put their employees to sleep, and no longer are employees willing to sit through hours and hours of flat, slow-paced content. Gamification is the new way to do elearning, and, as a result, training jams are the new way to generate both ideas and prototypes for new and improved learning content. Contrary to what most people think is possible to develop in just 48 hours, game jams have proven to be legitimate sources of innovative and engaging content for years before entering the elearning and corporate training conversation. Though the end product might not be ready to roll out to customers, these high paced competitions often lead to a treasure trove of great ideas. Want to become a household name in the world of elearning and gaming? Host an annual game jam, complete with prizes and food and a cash pot for the winners, and you’re sure to make it on the map with a demographic of potential customers that wouldn’t have heard of you otherwise. The fact is that most participants of these jams work in the tech industry, and even though you shouldn’t be shoving your brand in anyone’s face, you can be sure that no one forgets the companies that host great events like this. Not only are game jams a blast, they are a great way to continually stay on the front lines of thought leadership in the world of corporate training and elearning at large. With dozens of developers putting their heads together, there’s bound to be some innovative and idea-inspiring content that’s put together, and what better place to do that than a game jam? With the prevalence of all things digital, there is a growing need to reinvest in the learning community that plays such a valuable role in creating and sustaining innovative, thought-provoking content. Even when an effort is made to collaborate, rarely is it the case that everyone is in the same place. Game jams are the perfect way to get learners in the right place at the right time to create quality content while building and fostering the learning community. Ready to host a game jam? OpenSesame hosted their first training jam this spring. Hear some words from the winners and judges here. Interested in being a part of a jam? Check out these sources for information events happening almost every weekend!